After giving birth, many mothers want to restore their bodies to their pre-pregnancy weight and appearance. Due to excess skin and torn abdominal muscles, this can be difficult to achieve only through diet and exercise. Many women choose to have a tummy tuck to regain their figure, and the number of procedures performed has increased significantly in the last few years. Most mothers would agree that giving birth is a wonderful and miraculous experience, but it can wreak havoc on your body. Most women experience sagging in the lower abdomen after giving birth, and no amount of dieting or exercise will fully eliminate this pouch. There are two possible reasons for this: One is that all of that excess skin has nowhere else to go, and the other, much larger problem is called diastasis recti. Diastasis recti is when the two halves of the abdominal muscles spread farther apart, to the left and right. During pregnancy, your uterus expands and stretches the tissue connecting the two halves. The thinning of this tissue is also exacerbated by hormones making it softer and more pliable. Of course, widening is expected in all pregnancies, but if the separation becomes more than 2 centimetres it can start to be a problem. Diastasis recti most often occurs after childbirth, but it can happen any time during the second half of pregnancy. The pressure on the abdominal wall from the growing baby causes the wall to slacken, and the weakening tissue is unable to support the torso and internal abdominal organs, which causes the paunch or “potbelly” appearance of diastasis recti. Roughly 30% of pregnancies result in diastasis recti, and there are several factors that can increase the probability of it occurring. One is genetics: some women are more likely to develop the condition simply because of their genes. 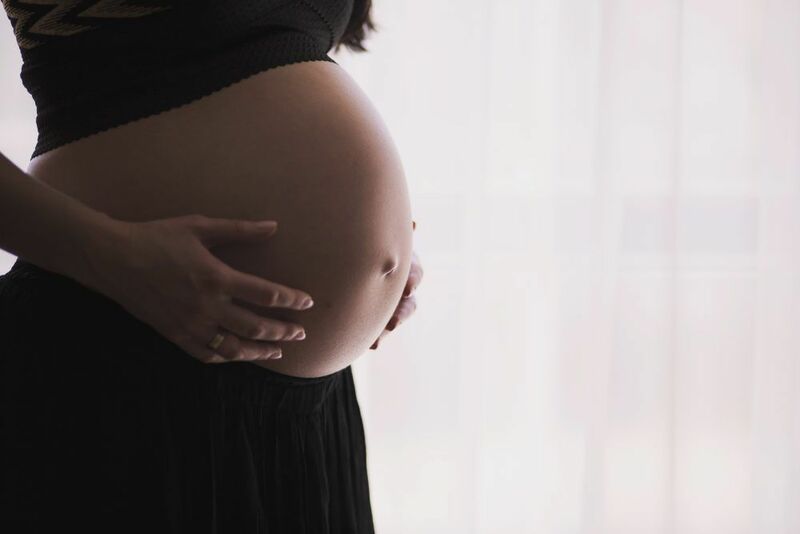 Women who have had diastasis recti from one pregnancy are more likely to develop it again in a future pregnancy, and often times the condition is worse than it was previously. It is also more likely to occur for petite women, women with the poor abdominal muscle to begin with, and women who are carrying more than one child. The creation of excess skin and the weakening of the tissue connecting your abs as your tummy expands to accommodate a growing child can leave your body permanently altered, and a Cesarean section could make this even more pronounced due to the weakening of the abdominal wall. While a healthy diet, regular exercise, and even skin treatments may help restore your body to its former appearance, these treatments often will only work partially, if at all. This is where a tummy tuck comes in. A tummy tuck, or an abdominoplasty, works by removing excess skin, contouring the lower abdomen, and tightening abdominal muscles. It is a routine procedure but it is incredibly involved and requires a long recovery time and is often more uncomfortable than other cosmetic procedures. The operation varies from person to person, and it is personalized to each patient based on the amount of excess skin and fat, whether the patient has diastasis recti, and if so how severe the problem is. Generally, the recovery time for a standard tummy tuck is at minimum 10 to 14 days. During a standard tummy tuck, the surgeon makes a horizontal incision that ranges anywhere from a few inches to the full length of the abdomen just above the pubic bone and below the belly button. Excess skin and fat are removed, the ab muscles are tightened or repaired, the skin is pulled down and a new belly button is created. This results in the tight skin with no flab. The scar is low enough that it can easily be disguised below underwear and swimming suits, and for women with Cesarean sections, the incision can be made directly over the scar so there is no additional scarring. It’s best to wait at least six months after giving birth before scheduling a tummy tuck. You want to make sure there are no non-surgical ways (diet and exercise) that will restore your figure. You also need time to heal your body after childbirth before undergoing surgery, as birth will stretch and possibly tear the tissues in your abdomen. The hormones your body produces during pregnancy soften those tissues, so they will withstand and heal from surgery better after those hormones have worn off. Six months will also give new mothers time to adjust to the new routine of frequently lifting their new baby. It’s not recommended to do any heavy lifting after abdominal surgery, so waiting several months before scheduling the procedure gives you time to build muscle and learn to carry your child without injuring yourself. If you are breastfeeding, you should wait six months after you stop to have a tummy tuck. This is because during the procedure you’ll be placed under anaesthesia, and the anaesthetic can potentially be transferred to the baby through breastfeeding. While a healthy diet and regular exercise are always recommended, sometimes they are just not enough to restore your body to its pre-pregnancy self. After a tummy tuck, many women find it easier to get back to exercising without the excess fat and skin getting in the way. If you have tried diet and exercise after having a child but they aren’t enough for you, a tummy tuck might just be the solution you are looking for.